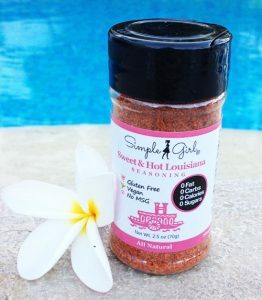 Simple Girl Sweet & Hot Louisiana Seasoning will have you looking forward to your HCG Diet meals! The unique flavor in this seasoning can be described as a hint of sweet combined with a touch of heat. You can use it on virtually any food including meat, fish and vegetables. It is great on sliced cucumbers, wonderful on steak, tasty on fish; you can even sprinkle it on salads. 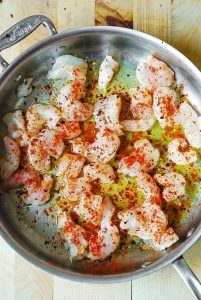 Skip the cocktail sauce and try sprinkling it on your shrimp. The best part about this seasoning is that it has no sugar, fat or preservatives. It does not contain any artificial sweeteners but is sweetened with all natural, organic, diet-approved stevia. You won’t have to worry about sugars, oils or starches because Simple Girl seasonings were specifically designed for restrictive, sugar-free and oil-free weight loss plans. However, this seasoning fits the bill even if a person’s goal is simply to live a healthy lifestyle rather than to weight loss since it is all natural and sugar free. Believe me, even husbands and kids love it! With 320 mg of sodium, the ingredients in this product are sea salt, dehydrated garlic, paprika, other spices, stevia, and silicon dioxide added to prevent caking. Avoiding added sugars in food can help us to avoid problems such as cavities, tooth decay, obesity and the health complications caused by being overweight such as type 2 diabetes, hypertension, hypertriglyceridemia and heart disease. More nutritionally balanced foods can also help prevent problems such as osteoporosis and vitamin and mineral deficiencies. This healthy seasoning has zero carbs, zero sugars and zero cholesterol but you would never know it by the taste. Whether you are a gourmet cook or someone who needs something to make life easier when it comes to preparing “simple” meals, our Simple Girl seasonings will save the day! Not only are they tasty and delicious additions to your recipes but they allow you to eat healthy for life without depriving you of flavorful food. 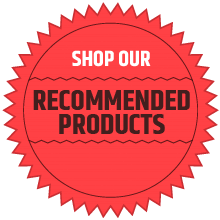 All of our Simple Girl seasonings are safe for diabetics or anyone trying to avoid sugar. 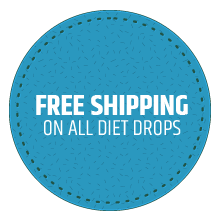 Because they are sugar free and oil free, you may use them on these diets: Ketogenic Diet, Atkins, Ideal Protein, Nutrimost, Shape Reclaimed, Weight Watchers, Omnitrition and more!